Every Wednesday I sit down at my kitchen table with a small tub full of pill bottles and fill up a tray of plastic cases with a week’s worth of medicines, vitamins, and minerals. Every time I do so I am reminded of three families–my own and two others I’ve never met or know anything at all about. But each time I receive a measure of comfort and strength for blessings received and opportunities given. This week those feelings were just a little bit more special than usual. For it was ten years ago (on May 23 and 26) that I received two liver transplants at the Nebraska Medical Center in Omaha. Without them I certainly wouldn’t be alive today, and in turn I would not have experienced a decade worth of amazing blessings. I won’t bore you with the details of that experience here (but if you’d like to know more, I have a testimony archived; it appeared in the July/August 2001 Restoration Witness magazine, when I served as its editor). In brief, I had been diagnosed with liver disease a couple years earlier–we didn’t know then and we still don’t know today–why or how that happened. After 13 weeks on the waiting list I got the longed-for call, but unfortunately that liver transplant failed. Three days later I received a second one, and after two months in Omaha (including one on dialysis after my kidneys shut down) I finally came home to Missouri. I’ll never know just how many prayers and supportive thoughts were offered up for me, my wife Sally, and my family during that time. By nature I am hesitant to say God intervened on my behalf and spared my life. I do know that without a transplant I was going to die, and after my first transplant failed that timetable was moved up dramatically. Doctors later told me they don’t know why it failed; it just did. They waited a couple years to share with me that they believed there was nothing more that could be done at that time and that I would not make it through the week–unless a second donor liver was miraculously available. Of course, that’s exactly what happened. But I bring all this up not simply to talk about life-saving medical procedures but to share my experience of not being left alone at times of need. Jesus’ disciples couldn’t quite understand what he was getting at, as recorded in John 14, with his strange talk. They heard him say he was going away but that another Comforter and Advocate would be sent to help, guide, and support. But where was he going? What was he talking about? 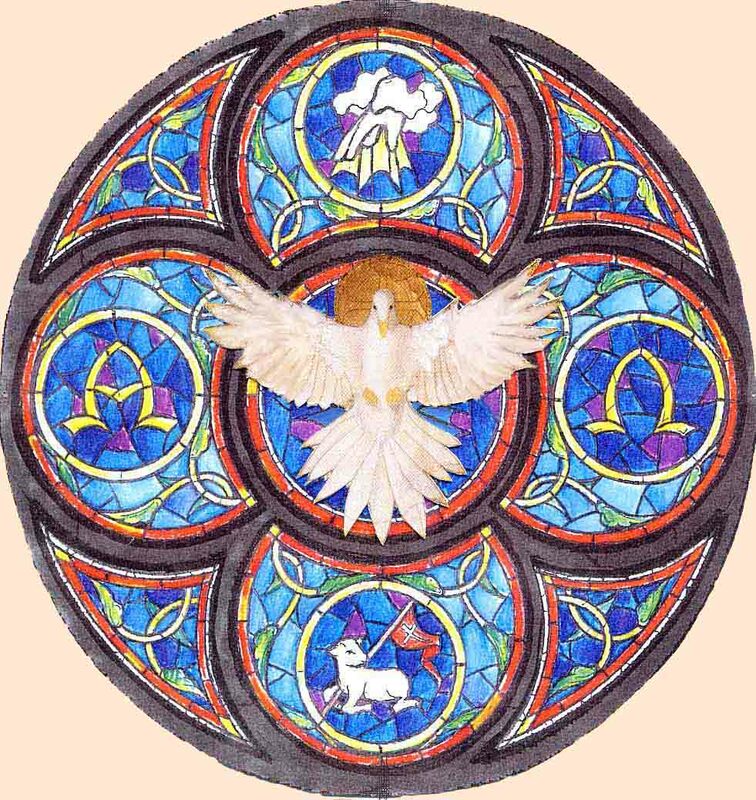 After two millenia of the Christian church trying to explain it all, we’ve become accustomed to think of that Comforter/Advocate, the Holy Spirit, using the symbol of a descending dove. That’s all well and good, and it certainly has made for some lovely stained-glass windows and tapestries. But I think we Christians still have some difficulty grasping this whole concept of the third member of the Triune Godhead. I suspect we always will. Yet this much I’m sure: God sends comfort and advocacy in a whole lot of different ways, often through people and situations we otherwise would never suspect. At least that’s been my experience. That’s what I’ve been thinking about a lot this week, in particular. I don’t know what those other two families I mentioned–the donor families who made possible my life-saving transplant–are going through right now. I’m certain it’s been emotional and difficult to remember their loved ones’ passing. As I mentioned, I don’t know anything about the circumstances that led to their deaths or to what their families went through ten years ago this week when they were approached by medical personnel about organ donation. That’s not a position anybody ever wants to be in. I’m grateful they said yes, and who knows how many other recipients were blessed to receive organs and tissue. I only hope they’ve received as much comfort over this past decade as have I.
Sally and I have witnessed both of our kids’ graduations from university, embarking on life’s careers, and discovering and choosing what we think will be their lifetime companions. Two years ago after I abruptly and unexpectedly entered early retirement, I published my first book under my own imprint, Isaac’s Press. (And I’m starting work on my next book, by the way.) Next week Sally retires from her teaching career, and that will open up a whole new chapter in our lives. After experiencing assorted medical issues during my adult lifetime (related to Crohn’s disease and whatever caused my liver disease) I can honestly say I’ve never felt healthier. I served as pastor of my congregation for four years (coincidentally that began a few months after a devastating arson fire gutted our church building) and as editor of the Herald for more than two years, which was the culmination of 23 years serving the church and its publishing house..
Where once I had no future because my body was diseased and dying, today I can look with hope to the future. I’m okay with not ever knowing anything about my two donor families–or the two individuals whose untimely deaths opened up possibilities of life for me and others. I respect their privacy in that regard. But I do hope and pray for their continued comfort and blessing. Even in anonymity our paths have crossed, and that cannot be erased. Like those first disciples of Jesus we’ll never know exactly what Jesus Christ has prepared for us, but we have the same promise of comfort and advocacy. We have hope. And that’s saying a whole lot. This entry was posted in faith, hope, Jesus Christ and tagged faith, Gospel of John, healing, Hope, Jesus Christ, mercy, peace. Bookmark the permalink.